â€œMaster this and you will become successful beyond your wildest dreams. Bill Gates imagined a computer on â€œevery desktopâ€ even before it ever happenedâ€¦ Henry Ford imagined a car in every drivewayâ€¦ long before it became a reality. What you visualize?â€ Are you interested in creating a new prosperous life for yourself by taking advantage of the covert power which you possess today? I want to thank you for taking the time to read this letter. I donâ€™t blame you if you are a little skeptical about the headline you just read. But let me tell youâ€¦ Itâ€™s not impossible. You mind can attract anything that it wants. You just have to believe it and add some ingredients to it. Of course, this goes without saying that youâ€™ll need to take action towards it. Frankly, you need to understand how powerful this technique is. Your thoughts attract things to you just like a magnet, bad or good. What one thing did Thomas Edison, Napoleon Bonaparte and Tiger Woods have in common-- Whatâ€™s this one ingredient that they used over and over again to trigger their success? Oprah Winfrey and Larry King featured â€œThe Secretâ€ on their show. Have you asked yourself why everyone is making such a big â€œfussâ€ over this one video? Why it became the #1 best seller on Amazon.com. Napoleon Hillâ€™s inspirational classic â€œThink and Grow Richâ€ is based on this technique and has influenced many to financial independence and to riches beyond just money. I could go on and on about all the â€œrich, famous and successfulâ€ people of today and yesteryears who have mastered this technique. How would you like to THINK you way to success? Sounds silly doesnâ€™t it but many successful entrepreneurs have used this technique and went on to make millions of dollars. Just by using this one technique isnâ€™t going to get you there but it sure is going to make your journey a lot faster... and clearer. What Is The Secret Of Getting Rich? What does it means to you and have you even thought about it? Do you want to live in a house by the ocean-- waking up every morning to the soothing sound of waves rolling onto the beach. Then visualize it everyday. It WILL come true when you learn the way how to get there. It is just a matter of time. It can be done. But first you must imagine it in your mind. This is not magical or hocus-pocus stuff. For most of us this not only sounds â€œoddâ€, but it sounds â€œimpossibleâ€. How can a person achieve a goal in his head before he actually does it? This concept is actually very simpleâ€¦ However, you must be convinced. You must belief in your goals and you must feel it, see it and touch it. It is absolutely important that this happens. The secret to being successful is to â€œknowâ€ you will be successful. Mentally I have sought to make one million a year for quite some time, but it is not until recently that I â€œknowâ€ I will do it. But itâ€™s not limited to only financial achievements. The skyâ€™s the limit, my friend. I have visualized marrying the woman of my dream in year 2007 and this came true. Other than that, I have traveled to 9 countries as an invited speaker and I could never figure out how these fortunate events are happening for my good benefits. I know you may not be surprise with my new found wealth but a few years ago, I was justâ€¦ NOBODY. No money, no property, no nice car, no office, no staff, no wife, no credibility, no business network, nothing. Imagine a guy banging his head on the wall to find the key of success. But they all became reality and I think Iâ€™ve discovered whyâ€”I visualized. Your goals are just as simple. Once I set a goal, I must have no doubt that I will achieve it. Simply, I achieve all goals in my head before they become material in the world. People from all walks of life can testify as to the power of visualization. From salespeople who have shown marked improvement year after year, to athletes whose championship dreams have come true. But knowing the many benefits of visualization and hearing about the achievements and glory of others is just not enough. You have to do it for yourselfâ€¦ seeing your own successful future in your own mind. But learning the right way of visualization is not immediate. Itâ€™s a process of trial and error. Good news is, you can skip that by reading Visualize And Attract eBook today. Burning Desire To Succeedâ€¦ When I was just 19 I had this burning desire in me to succeed. I knew I was destined for a better life. I pumped myself with self-development materials, everything that I could lay my hands on. One day I got hold of a book similar to this. It changed my whole focus on things. I read it once, twice, three times. Over and over again untilâ€¦ It hits me! It was simple as that. If you are tired of your current job, then picture yourself in a job that you would really like to do. What about the car of your dreams? Find a picture of your dream car, visualize it. See yourself in the driverâ€™s seat with your hands on the steering wheel, smell the rich leather of the seats, the look on the faces of your friends as you whiz past them in your brand new car. And then see what happens. Letâ€™s come back to my story if you donâ€™t mind. I used this process in my own life. That was 4 years ago. Today, I have achieved goals that Iâ€™ve never dream possible. I am already making more money than CEOâ€™s at the age of 27, have my own company, associate with millionaires and well-known entrepreneurs, authored my own book, found the love of my life and many other personal accomplishments. Yes, me. Someone who never goes to a college or University before and without any prior success training in anything. How do you think someone like me could achieve the kind of success that I enjoy today. I actually â€˜sawâ€™ my success long before I even achieved it. It is the Universal Law that you attract into your life of what you think about. â€œYou Too Can Enjoy The Benefits Of A Happy Abundant Filled Life Todayâ€ I can't tell you the secrets to wealth. 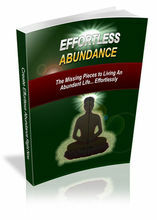 You need to find it out by reading it in Visualize And Attract eBook yourself. But once you know it, there's nothing stopping you. This ebook is all about easy to use techniques that uses mental images and shows you how by using your powers of imagination you can literally create anything that you want in life. 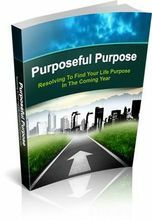 Whether it's changing negative habit patterns, improving self-esteem, reaching career goals, developing creativity, improving health, or increasing vitality, this easy-to-read report is more than inspirational, it will change your life once applied. Some of the valuable advantages youâ€™ll discover in the book are: How to lift the limitations from your mind that is suppressing your achievable desire to be manifested Overcome roadblocks to progress to the next steps of personal achievement Discover the greater inner power and strength you possess all of this while but it was â€˜buriedâ€™ because you did not know â€˜theseâ€™ Gain More Energy by understanding the concept of visualization-- you can actually command your internal energy into your daily life Achieve goals and success faster by tapping into the power of your subconscious mind Having the power to eliminate negative thinking and attract only the positive thoughts. Careful, because the negative ones can be destructive towards your thinking pattern The technique to ask the Universe and receive what you wantâ€¦ anything you want to ask How to attract what youâ€™re thinking right now through simple to follow steps Knowing the secret of your mind-- the most powerful thing you own! learn â€œThe Secretâ€ technique that thereâ€™s nothing stopping you to be where you want to go It makes your path to success so real that you can almost feel it, hear it, smell it-- as well as see it in your mindâ€™s eye. Whatâ€™s Holding You Back? The missing key is visualization. Visualization is a powerful mind tool for success that is within your control. You donâ€™t need to have any special ability or skilled training to use this power. But you will be really amazed at what you can achieve with it. Donâ€™t just take my word for it. Try it and see for yourself. You will begin to see success like youâ€™ve never dreamed of before. What does success mean to you? To some it may mean making an extra $50K a year and for others-- it may mean achieving a complete freedom to live the life of their dreams. It all starts in your mind to be manifested into reality. You have to believe it, feel it and see it through visualization. Are you interested in creating a new prosperous life for yourself by taking advantage of the covert power which you possess today? I want to thank you for taking the time to read this letter. Itâ€™s not impossible. You mind can attract anything that it wants. You just have to believe it and add some ingredients to it. Of course, this goes without saying that youâ€™ll need to take action towards it. Frankly, you need to understand how powerful this technique is. Your thoughts attract things to you just like a magnet, bad or good. What one thing did Thomas Edison, Napoleon Bonaparte and Tiger Woods have in common-- Whatâ€™s this one ingredient that they used over and over again to trigger their success? Oprah Winfrey and Larry King featured â€œThe Secretâ€ on their show. Have you asked yourself why everyone is making such a big â€œfussâ€ over this one video? Why it became the #1 best seller on Amazon.com. Napoleon Hillâ€™s inspirational classic â€œThink and Grow Richâ€ is based on this technique and has influenced many to financial independence and to riches beyond just money. I could go on and on about all the â€œrich, famous and successfulâ€ people of today and yesteryears who have mastered this technique. How would you like to THINK you way to success? Sounds silly doesnâ€™t it but many successful entrepreneurs have used this technique and went on to make millions of dollars. Just by using this one technique isnâ€™t going to get you there but it sure is going to make your journey a lot faster... and clearer. What Is The Secret Of Getting Rich? What does it means to you and have you even thought about it? Do you want to live in a house by the ocean-- waking up every morning to the soothing sound of waves rolling onto the beach. Then visualize it everyday. It WILL come true when you learn the way how to get there. It is just a matter of time. It can be done. But first you must imagine it in your mind. This is not magical or hocus-pocus stuff. However, you must be convinced. You must belief in your goals and you must feel it, see it and touch it. It is absolutely important that this happens. The secret to being successful is to â€œknowâ€ you will be successful. Mentally I have sought to make one million a year for quite some time, but it is not until recently that I â€œknowâ€ I will do it. But itâ€™s not limited to only financial achievements. The skyâ€™s the limit, my friend. I have visualized marrying the woman of my dream in year 2007 and this came true. Other than that, I have traveled to 9 countries as an invited speaker and I could never figure out how these fortunate events are happening for my good benefits. I know you may not be surprise with my new found wealth but a few years ago, I was justâ€¦ NOBODY. No money, no property, no nice car, no office, no staff, no wife, no credibility, no business network, nothing. Imagine a guy banging his head on the wall to find the key of success. But they all became reality and I think Iâ€™ve discovered whyâ€”I visualized. Your goals are just as simple. Once I set a goal, I must have no doubt that I will achieve it. Simply, I achieve all goals in my head before they become material in the world. People from all walks of life can testify as to the power of visualization. From salespeople who have shown marked improvement year after year, to athletes whose championship dreams have come true. But knowing the many benefits of visualization and hearing about the achievements and glory of others is just not enough. You have to do it for yourselfâ€¦ seeing your own successful future in your own mind. But learning the right way of visualization is not immediate. Itâ€™s a process of trial and error. 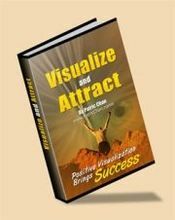 Good news is, you can skip that by reading Visualize And Attract eBook today. When I was just 19 I had this burning desire in me to succeed. I knew I was destined for a better life. I pumped myself with self-development materials, everything that I could lay my hands on. It hits me! It was simple as that. If you are tired of your current job, then picture yourself in a job that you would really like to do. What about the car of your dreams? Find a picture of your dream car, visualize it. See yourself in the driverâ€™s seat with your hands on the steering wheel, smell the rich leather of the seats, the look on the faces of your friends as you whiz past them in your brand new car. And then see what happens. Letâ€™s come back to my story if you donâ€™t mind. I used this process in my own life. That was 4 years ago. Today, I have achieved goals that Iâ€™ve never dream possible. I am already making more money than CEOâ€™s at the age of 27, have my own company, associate with millionaires and well-known entrepreneurs, authored my own book, found the love of my life and many other personal accomplishments. Yes, me. Someone who never goes to a college or University before and without any prior success training in anything. How do you think someone like me could achieve the kind of success that I enjoy today. I actually â€˜sawâ€™ my success long before I even achieved it. It is the Universal Law that you attract into your life of what you think about. I can't tell you the secrets to wealth. 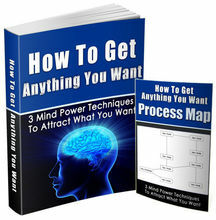 You need to find it out by reading it in Visualize And Attract eBook yourself. But once you know it, there's nothing stopping you. This ebook is all about easy to use techniques that uses mental images and shows you how by using your powers of imagination you can literally create anything that you want in life. Whether it's changing negative habit patterns, improving self-esteem, reaching career goals, developing creativity, improving health, or increasing vitality, this easy-to-read report is more than inspirational, it will change your life once applied. Knowing the secret of your mind-- the most powerful thing you own! It makes your path to success so real that you can almost feel it, hear it, smell it-- as well as see it in your mindâ€™s eye. The missing key is visualization. Visualization is a powerful mind tool for success that is within your control. You donâ€™t need to have any special ability or skilled training to use this power. But you will be really amazed at what you can achieve with it. Donâ€™t just take my word for it. Try it and see for yourself. You will begin to see success like youâ€™ve never dreamed of before. What does success mean to you? To some it may mean making an extra $50K a year and for others-- it may mean achieving a complete freedom to live the life of their dreams. It all starts in your mind to be manifested into reality. You have to believe it, feel it and see it through visualization. 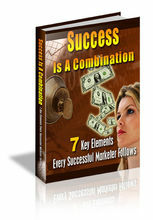 SUCCESS IS A COMBINATION...7 Keys That Every Successful Marketer Follows.